Radio Host, Logan Burnhardt, starts off his show with off-beat questions such as the whereabouts of the Taj Mahal, and why it is only photographed from the front. With listeners calling in on a variety of issues, he soon becomes aware that terrorists have planted chemical bombs in stadiums and crowded areas that make people violent. He subsequently asks his colleague to travel home to ensure that his wife, Gabbi, and child are safe - not knowing that terrorists will soon take over the building and hold him and other colleagues hostage and force them to make a live broadcast of their real agenda. Regions are unavailable for this movie. 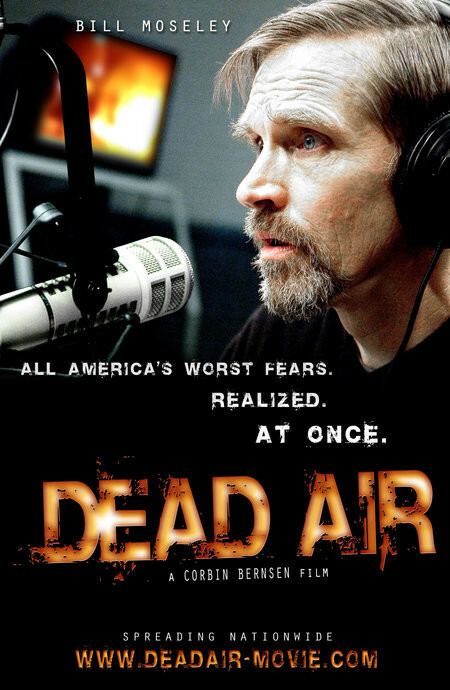 Click the "Watch on Netflix" button to find out if Dead Air is playing in your country.